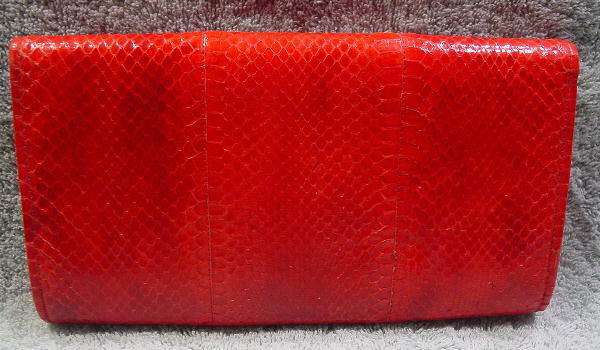 This vintage red snakeskin clutch has an envelope styling and was made in the Philippines. 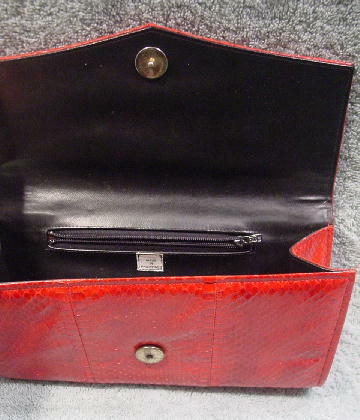 The interior is in a faux black leather and there is a small interior zippered pocket. 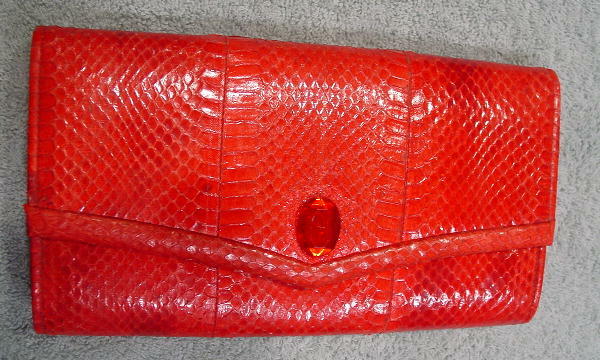 The exterior snap closure is hidden by a large oval red faux jewel with just a touch of red glitter surrounding the jewel. Eden added the faux red jewel and glitter.